Sharp Display Fixtures is basically the sole proprietorship company which was emerged in the year 2011 at Chennai in Tamil Nadu, India. 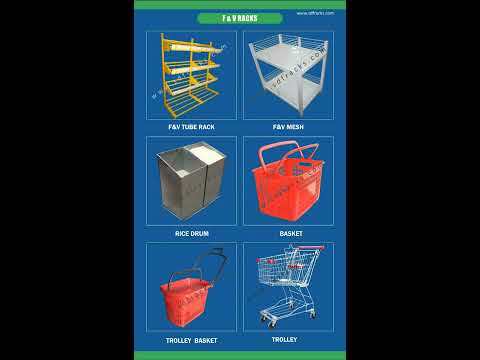 We are the renowned company which is engaged in the manufacturing, supplying and wholesaling Racks & Our products are Fruits and Vegetables, Garment, Electronics, Pharmacy,Sports, Foot wears, Library racks, Supermarket Accessories and many more. We believe in the quality of the products and that%u2019s why we have been controlling it from the time of our inception. High grade material is used in their manufacturing that we sourced from the authentic and certified vendors of the industry.